Ultralight techniques don’t just mean carrying minimal weight on thru hikes or long backpack adventures; going light is equally important for speed and efficiency while hiking technically challenging trails in sub-24 hours. In keeping with our philosophy of building you exactly what you need and nothing more, we’ve developed an optimized, high-performance, lightweight Day Pack, the Daybreak. 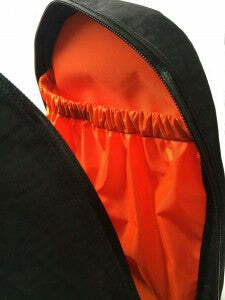 The inside of the Day Pack. Built out of necessity, we designed this ultralight day pack to stay snug and comfortable while we navigated our home turf—the rocky, brushy, mountainous landscapes of the Northeast’s White Mountains and Presidential Range. Constructed of non-woven, rip-stop Dyneema® Cuben Fiber, this day hiking backpack is exceptionally durable and highly water resistant. But it’s not just the cutting-edge fabric that makes this pack ideal for lightweight backcountry travel; as with all our technical packs, you can tailor it to your torso length. In other words, this isn’t your one-size-fits-all book bag. We offer it in three torso sizes—small, medium and large—so you can optimize the fit of your hip belt and shoulder straps. 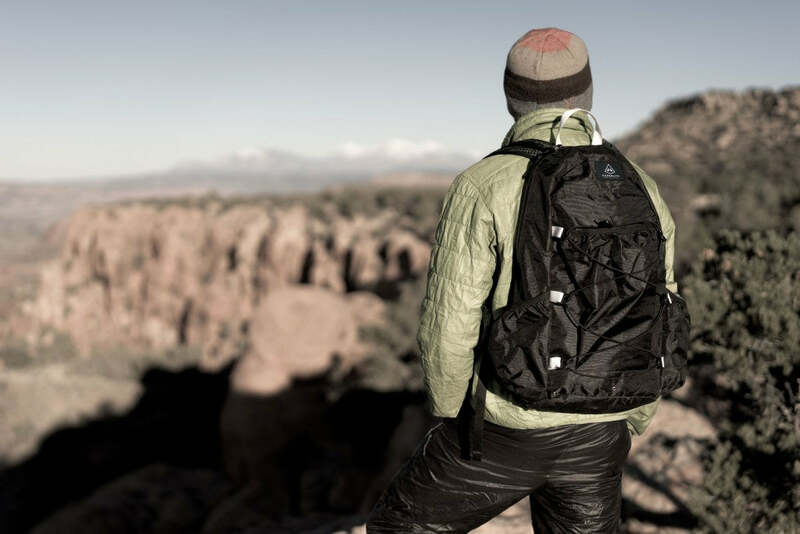 The Day Pack is also more fully featured than our other 1800L bags, and includes a large back pocket with additional shock cord for compression and side pockets for water bottles; the outer pockets make it easy to access rain gear or snacks. It’s also capable of carrying a mountaineering ice axe for those quick and fast days in the alpine. The post Hyperlite Mountain Gear’s New High-Tech, Ultralight Day Pack appeared first on Hyperlite Mountain Gear Blog.